Koh Lanta is one of our favorite islands in Thailand and so this year we decided to spend a few days there again. This time we opted for the Lanta Casa Blanca, a relatively newly opened hotel on the beach, with infinity pool and pretty bungalows. 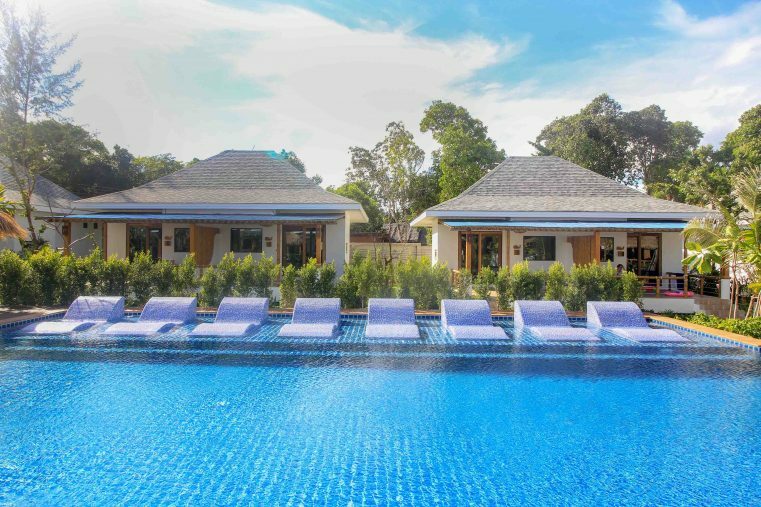 Especially the chic rooms, the beautiful pool and the relaxed atmosphere satisfied us. 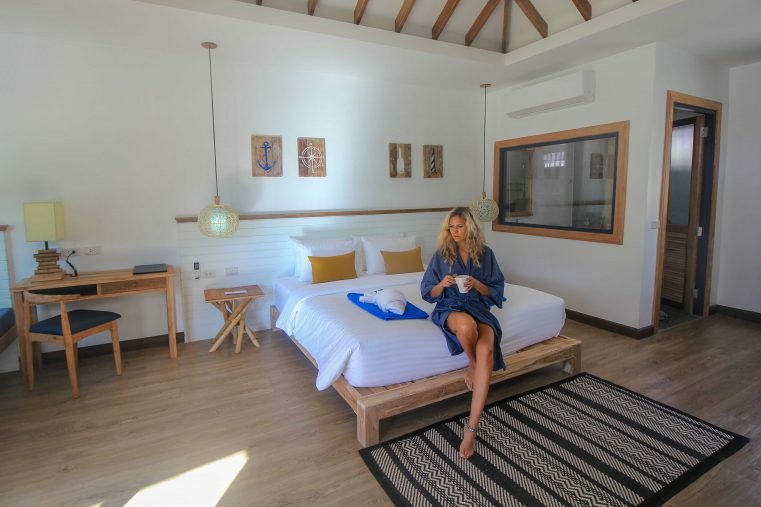 This accommodation is one of the best places to stay in Koh Lanta and that’s why we would like to share our experiences and impressions with you. 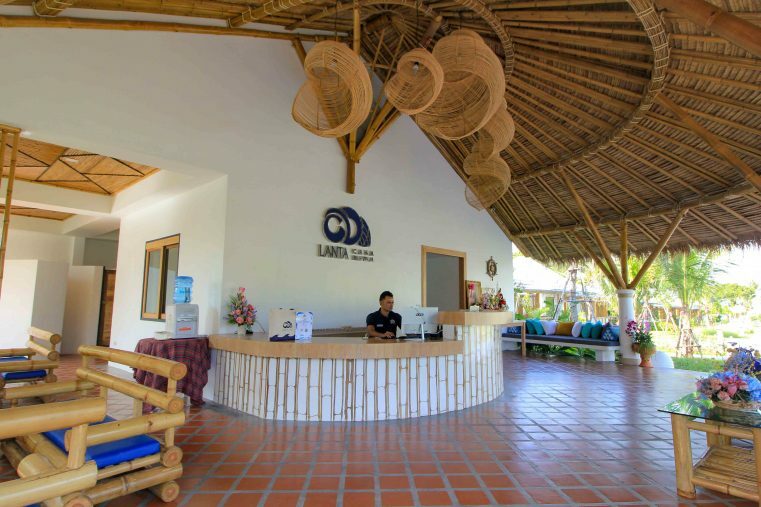 In addition, we will show some amazing pictures of the hotel and what to expect during a holiday in Lanta Casa Blanca. The Lanta Casa Blanca was opened only last year (November 2018). The whole hotel area is new, well maintained with a lovely garden and everything is very clean! 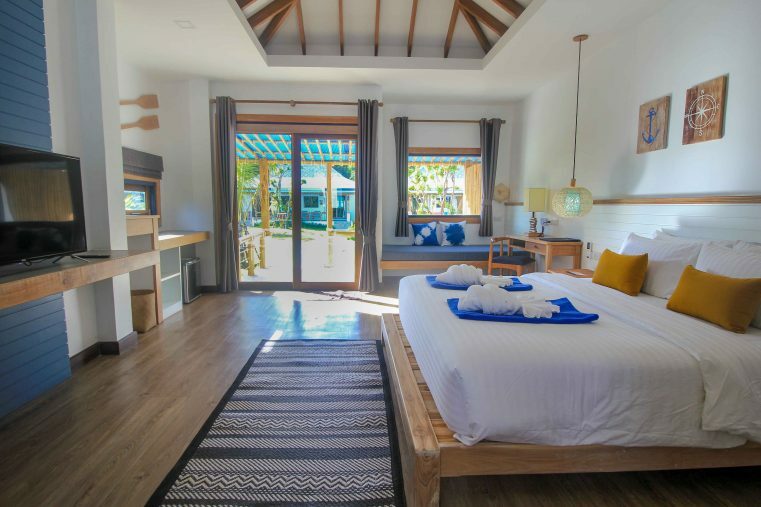 If you are looking for a bungalow on the beach, for sure you will enjoy this hotel. 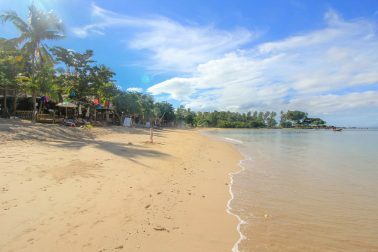 It is located directly on Relax Beach, one of the most beautiful beaches of Koh Lanta and the central location makes the hotel ideal for island exploration tours by scooter. Also, the staff is very friendly and very helpful. Already on arrival you immediately feel welcome and we enjoyed an excellent check-in. A real highlight of the Lanta Casa Blanca Hotel is the great infinity pool overlooking the sea. Here is the perfect spot for relaxing after a long exciting day of sightseeing. The pool is big enough to swim some lengths in the morning and at daytime it is never really crowded. So, you can always enjoy his holiday to the fullest. The decor of the rooms is very tasteful, modern but still very comfortable in the maritime style. All the interior has been designed with great attention to detail. The blue and white colors combined with the many wood and bamboo elements guarantee holiday flair at its best. -> Click here for the room prices and hotel reviews! 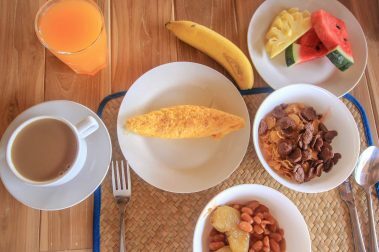 The breakfast restaurant is only a few meters away from the beach and so you start your day with a delicious breakfast overlooking the sea. 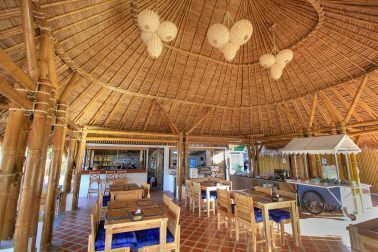 The breakfast highlight at Lanta Casa Blanca are the fresh omelettes and pancakes, which are prepared directly at the buffet. 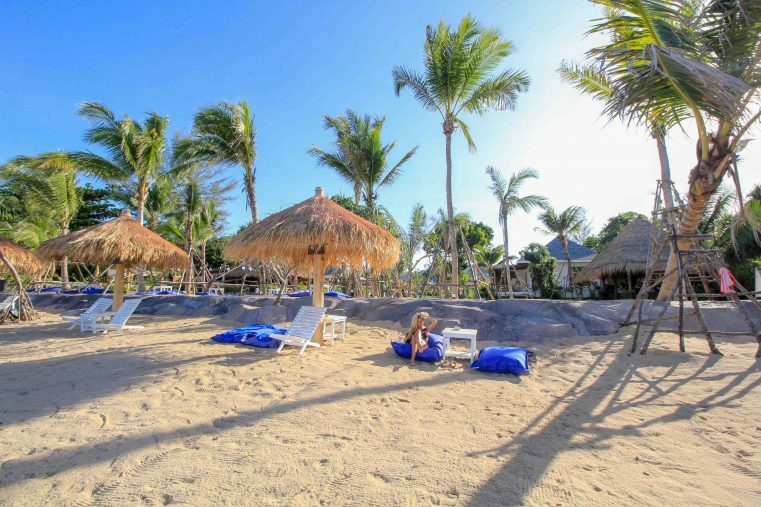 Lanta Casa Blanca has a small private beach area on the beautiful Relax Beach. For hotel guests enough cozy cushions and shady spaces are provided. 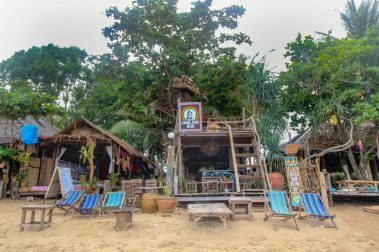 Along the beach you will also find some hippie bars and delicious restaurants. Especially the sunsets are amazing to see. 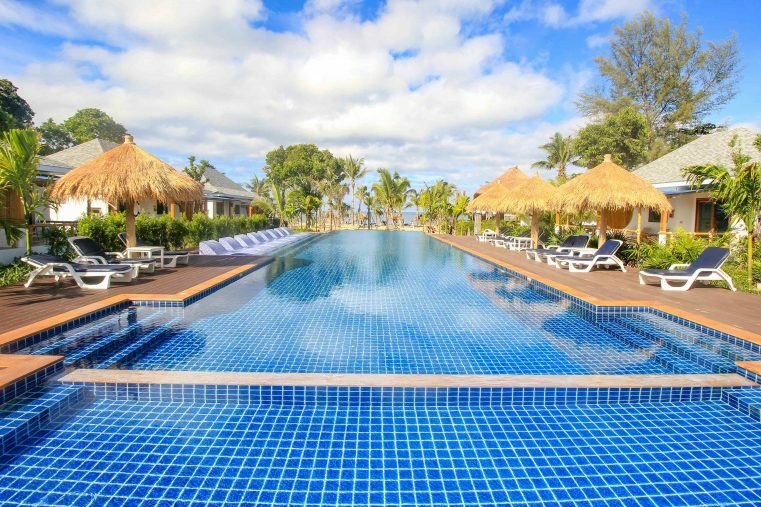 Conclusion: Whether room, pool or beach – the Lanta Casa Blanca leaves nothing to be desired! 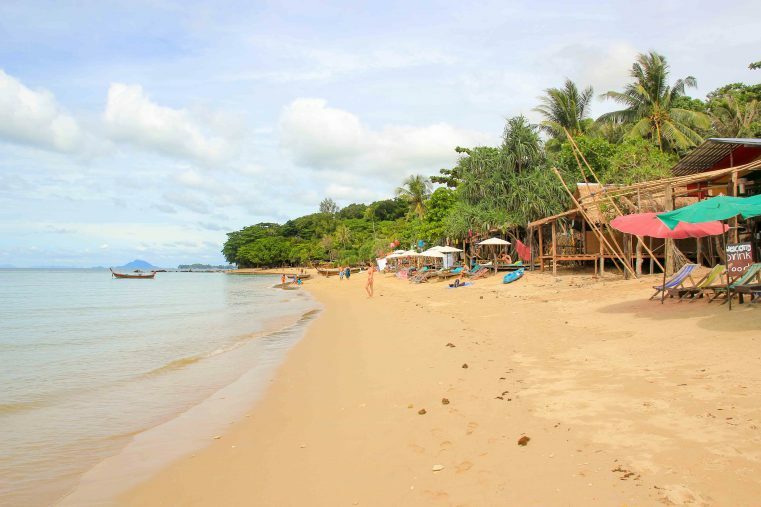 An absolute hotel recommendation for Koh Lanta! Also, the hotel reviews speak for themselves.